The Vapeix NFC Writer is our solution for semi-automatic or automatic tagging of consumable products during production. The Vapeix Writer is an all-around tool that links to your Vapeix Business cloud account, retrieves product specific information, and transfers that information into designated NFC tags during the production process. Unlike other NFC solutions that have a data threshold, our Vapeix NFC Tags are capable of storing as little or as much information and data as you need. 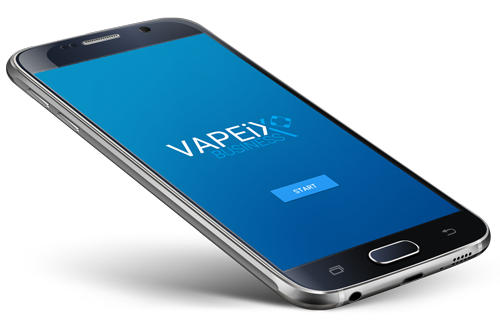 That information can then be viewed by your customers via the Vapeix mobile apps, allowing the consumer and the brand to have a closer, more impressionable relationship. The Vapeix NFC Writer can be used in table top mode for small to medium sized product batches, or for a more efficient application for large batches, a separate NFC Module can be attached and mounted on a conveyed assembly line. The Vapeix NFC Writer also has a built-in serial port for label machine integration to further automate quality control for tagging and verification purposes. The Vapeix NFC Writer App facilitates wireless connection to the Vapeix NFC Writer, over Bluetooth LE 4.0, to manage NFC Tag labeling information. 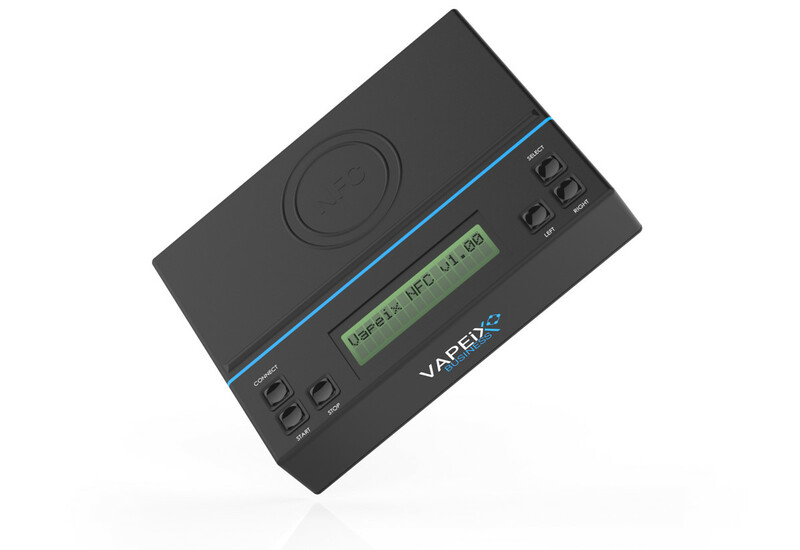 After your specific product information has been entered via the cloud portal, the Vapeix NFC Writer App connects you to your Vapeix Business cloud account for retrieving product information to be programmed into your tags. The App also features other functions that makes proper tag programming verification a breeze for Android devices with Built in NFC Readers. 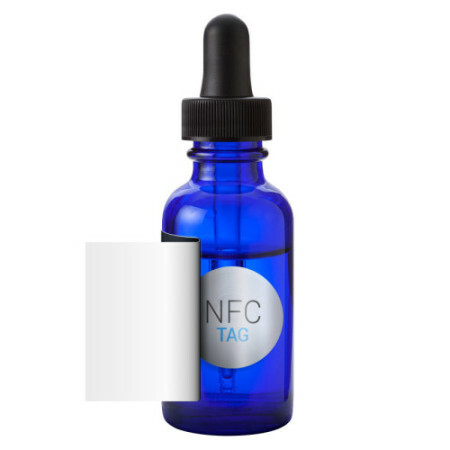 NFC Tags are highly versatile, and are offered in a variety of shapes and sizes that are easily applied to products during the production process. If you are looking for a custom application for NFC Tag design, we offer design services to reach your goals. We support NFC Tags with a 4-color process (CMYK) in both digital and offset printing, and can customize labels for any product requirement. With the flexibility of NFC Tag form-factors and sizes, it’s easy to find the perfect label for all of your market needs. The Vapeix ecosystem provides countless opportunities. Understand more of what Vapeix can offer.